Why Is My Just Poured Cement Crumbling? 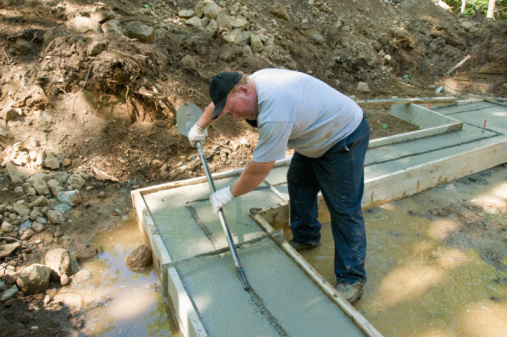 Concrete is a careful combination of cement, sand and water. When it comes to the ratio, the mix is crucial to ensure the proper humidity level and moisture content for curing the cement; and if this is off or something happens during the curing process, your cement might start cracking. Sometimes crumbling concrete is natural while other times it is a sign of larger issues. 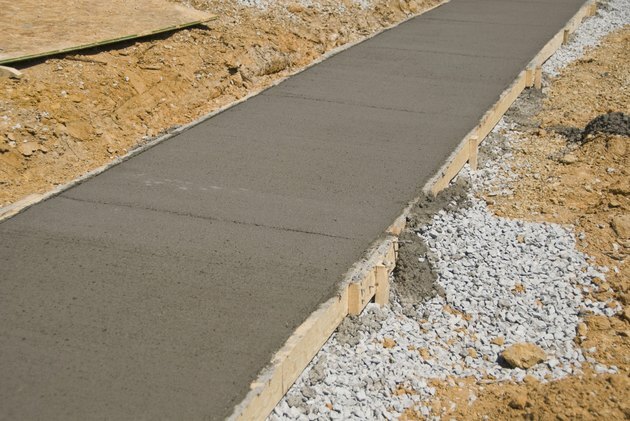 As a general rule, the simplest recipe for concrete calls for around 10 percent cement, 60 percent sand or aggregate and 15 percent water, with a little bit of air thrown in for the curing process. If too much water is introduced to the mixture, the cement and sand cannot bond with each other and will instead fall apart. As the concrete starts to dry, this results in a crumbling area where the particles aren't sticking together. Just as it's critical to have the right amount of water, you do not want too much or too little of the other ingredients. For example, too little cement in the mixture will result in a concrete batch that will never fully cure. Instead, the lack of binder material in the concrete will result in the cement and sand crumbling over time because they lack any strength or bond. Concrete is meant to be poured in 45 to 75 degree Fahrenheit temperatures, but on the off chance you are pouring yours in the winter, it needs to be covered with concrete blankets to keep the concrete from freezing. If this happens, the bond between the chemicals in the cement and the water will never have a chance to properly cure, which means once things thaw out, the cement will start to crumble. 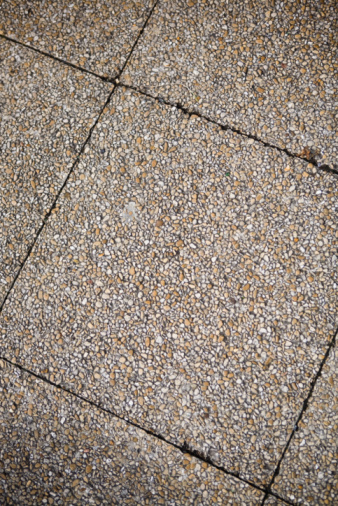 One natural aspect of concrete curing is that sometimes the top layer can be affected by a process known as spalling. This is a cosmetic issue that crops up in an area where the concrete blend wasn't completely perfect during the initial installation and the top layer has peeled off over time. Spalling can be fixed with a new layer of concrete over the affected area. What Causes Concrete to Crumble? How Many Bags of Cement Are in a Cubic Yard?